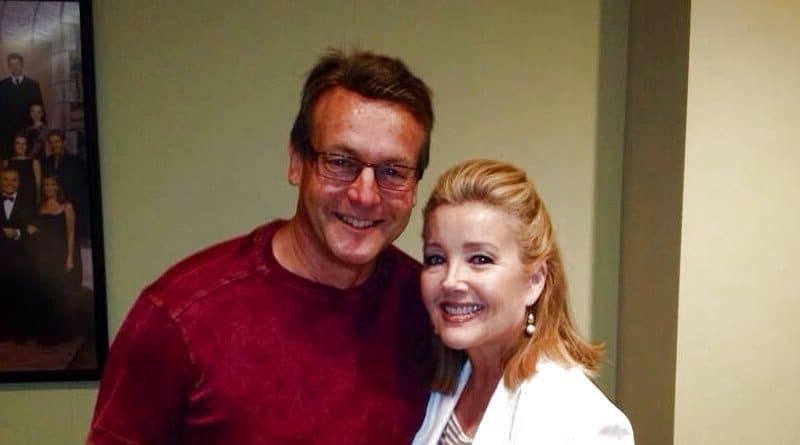 Young and the Restless star Melody Thomas Scott (aka Nikki Newman) has made it clear she wants Doug Davidson (aka Paul Williams) back on Y&R ASAP! Ever since Mal Young wrote the actor off the show, fans have wanted the longtime favorite back. Could Melody Thomas Scott’s latest statement help finally bring Paul Williams back to Genoa City? Y&R actress Melody Thomas Scott took to social media to confirm that she wants Doug Davidson back on the show. As longtime viewers know, the pair have long been scene partners on the CBS soap. Mal Young wrote Doug Davidson off the show and the actor confirmed it after it was already done. Young and the Restless fans were furious — and they weren’t the only ones. Even fellow soap actors took to Twitter, wondering what in the world Y&R was doing. After all, Davidson isn’t just a longtime soap veteran. He’s also a fan favorite. So axing him made absolutely no sense. Melody and Paul often played off each other as Nikki Newman and Paul Williams who had a long history and a child together. Davidson let fans know that the powers that be at Y&R didn’t renew his contract and that the showrunner had written him off the soap. Technically, he was dropped to recurring status, but has not been seen since. Now that former head writer Mal Young was fired, it sounds like Melody Thomas Scott and many others want Doug Davidson back on set. Y&R Spoilers: Mal Young Out – Paul William Back? Finally, after dissatisfied fans raged about the unwelcome changes at the soap, CBS booted head writer and former EP Mal Young from Young and the Restless. Most longstanding viewers hate the direction the show has taken, even though Mal Young claimed his new approach is wildly popular. Fans (and ratings) disprove him. One huge aspect of his tenure involved cutting back veteran screen time and dismantling legacy families. Instead of giving veteran fan-favorites more storylines and airtime, he brought in new characters. Eric Braeden (aka Victor Newman) has even come out against check and said he wanted to see his good friend “Dougie” back. Paul Williams was always great as a counterpoint to Victor Newman since both loved Nikki Newman and had kids with her. He was the police chief Genoa City needed – and still does! Young and the Restless Spoilers: New Writers Bring Back Loved Characters? Longtime fans of the show would love to see Y&R veterans come back to the show. While viewers were upset to find out that Doug Davidson would not be back, he’s not the only one who left. In fact, most recently, longtime vet Eileen Davidson (aka Ashley Abbott) left the show after decades in her legacy role. Fans would love to see her back as Ashley Abbott on Young and the Restless. Upping Lily Winters (Christel Khalil) back to contract status would also be a thrill for fans – and her co-workers. After all, how can Cane Ashby (Daniel Goddard) and Lily fix their marriage if she’s barely on the canvas? Of course, fans would also potentially like to see the show resurrect Hilary Curtis (Mishael Morgan). 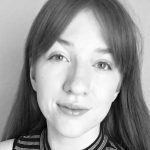 Viewers really didn’t like how Mal Young offed the character. Plus, it led Lily to jail for her death, which viewers hated. Under the new writers, could they bring back Doug Davidson and other fan favorite veterans to Y&R? Also, make sure you return to Soap Dirt daily for all the latest Young and the Restless spoilers and news. ‘Young and the Restless’: Christel Khalil Off Contract – Lily To Prison? ‘Young and the Restless’ News: Melissa Claire Egan Lands New Role – Y&R Chelsea Back on TV!